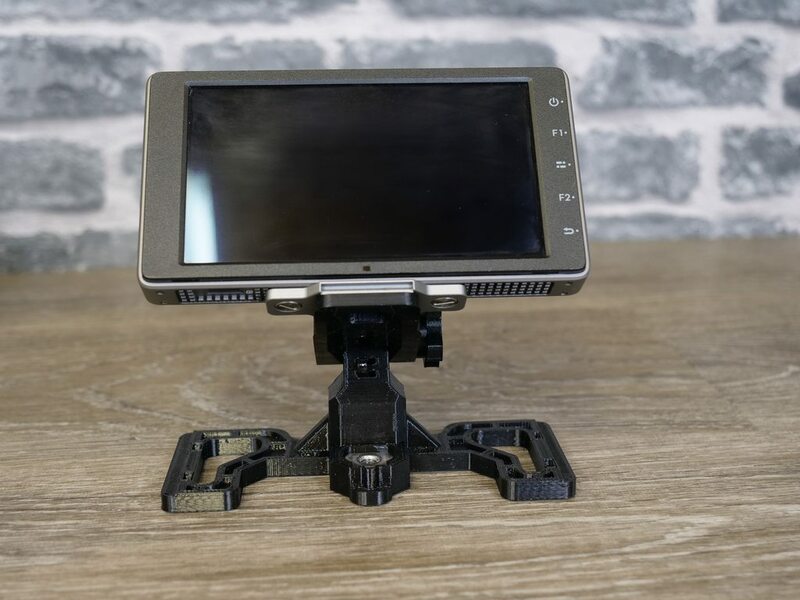 The guys over at Polar Pro contacted me a few weeks ago about their new monitor mount for the DJI Ronin S and I wanted to share some info and my thoughts on this with you after receiving it. 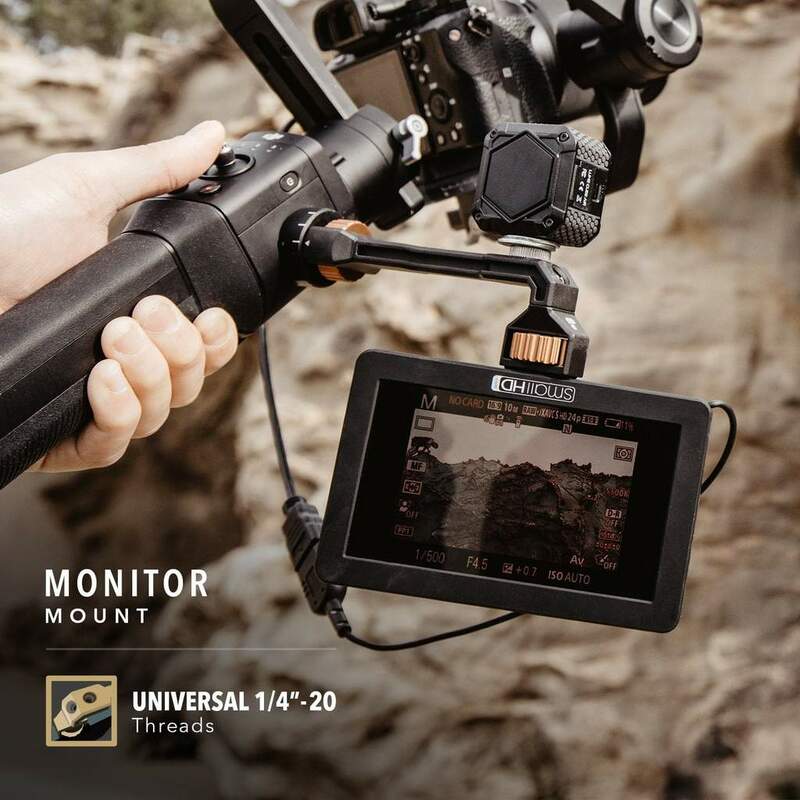 This new accessory from Polar Pro allows you to fit an external monitor and accessories to your Ronin S, it’s made from light weight aluminium and one of its best features is that it has a quick release so its very easy to quickly remove and you don’t have to worry about it getting in the way in storage or if you don’t need it. 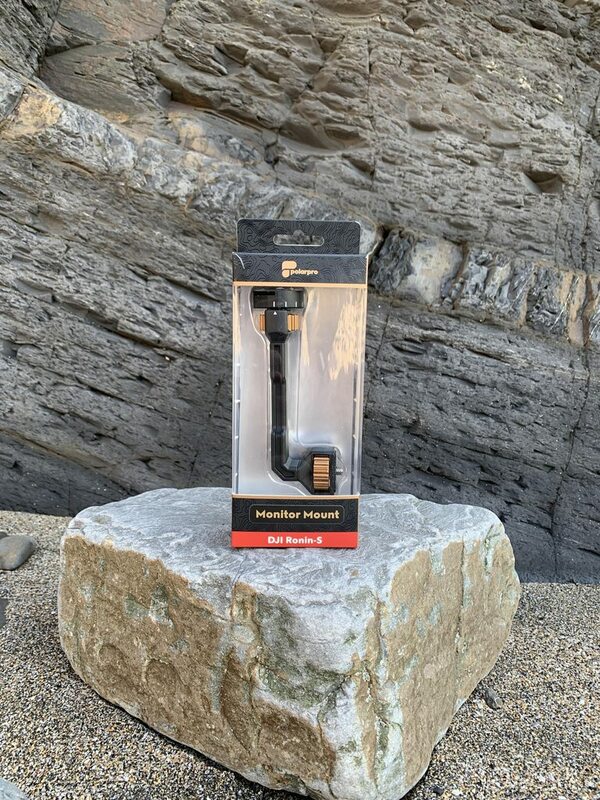 On the bracket itself you have the usual accessory thread that is attached to a large captive thumb screw for mounting to the monitor, the face is coated in rubber as well to ensure the bracket does not cause any damage to the monitor. 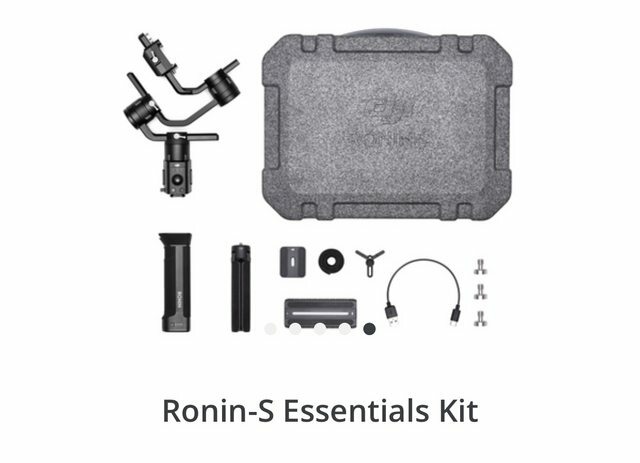 This week DJI have introduces a new package option for the Ronin S called the Essentials Kit. This reduced cost version of the Ronin S includes the basics you need to get going. Looking closers the main differences are that the kit comes with a plastic tripod rather than the metal one and does not included the DJI Focus Wheel, Rapid Charger or the Camera Connection Cable, this means you will need to charge it off any normal USB power source however this will take longer that using the DJI adapter. However Touch Bar MacBook Pro users can use their charger to get faster results. This is actually a very well priced kit and actually much of what is not included you may not need anyway, for Sony users especially as the main kit still does not include the Multi USB Cable. 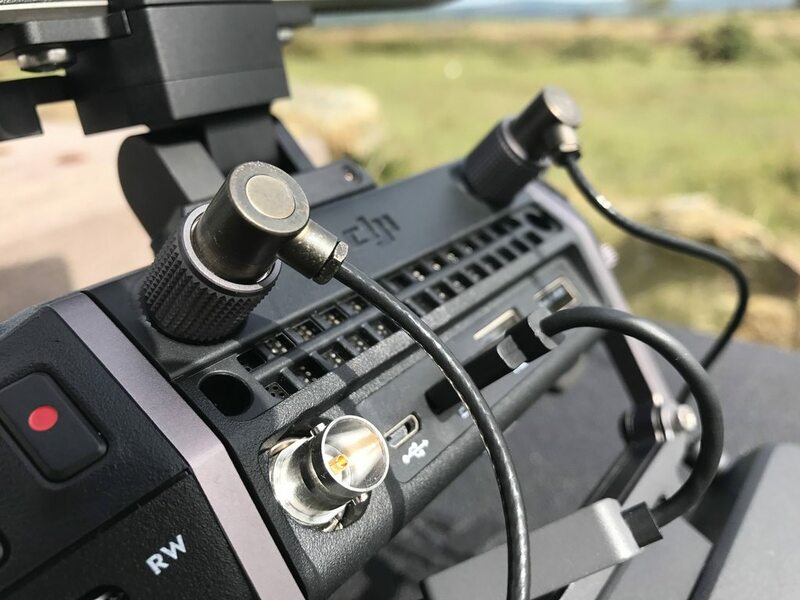 Overall if your looking at the Ronin S this is probably the best way to get the device then pick and choose what extras you need separately like the correct connection cable for your camera ect. Please note the above is an affiliate link, using these cost nothing more to your seofnhowever I may receive a small commission, if you would like to support me using these is a great way to do that. Thanks. 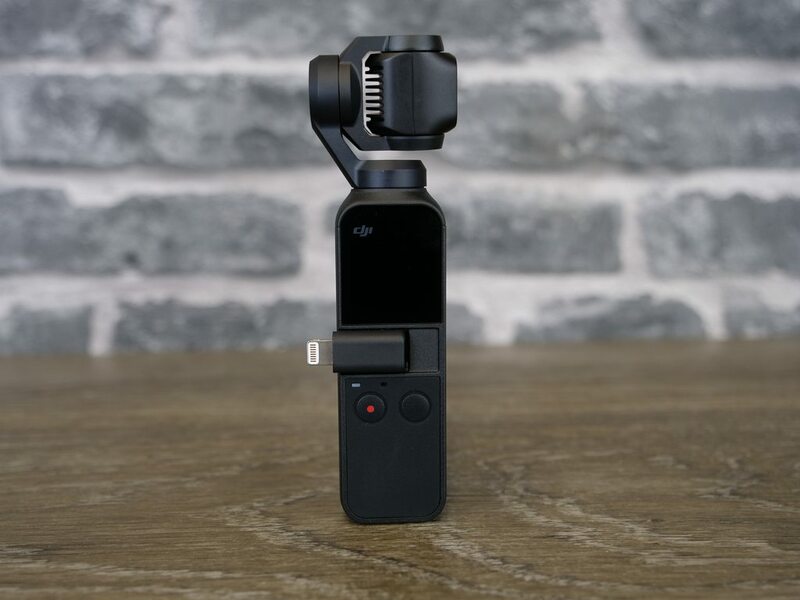 This week I have been finally able to get my hands on the latest OSMO from DJI called the OSMO Pocket, this literally miniaturised version of the original OSMO brings all the benefits along side some new smart features and increased performance. 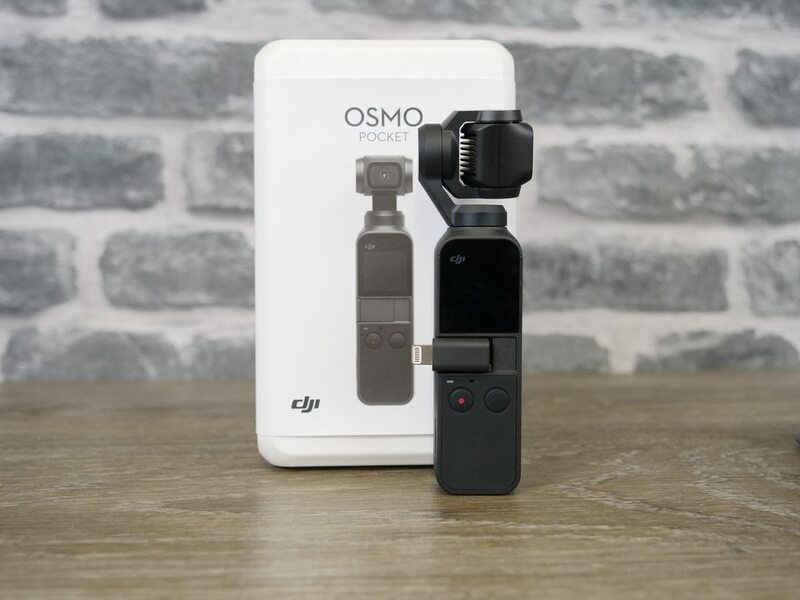 The OSMO Pocket is a 3 axis stabilised hand held camera, it has the same 1/2.3 Inch sensor as the original OSMO, Mavic Air and Mavic Pro. The camera is fitted to a 3 axis miniature gimbal that fixed to the main body. Over the last few weeks I was given the opportunity to spend some time with the Yuneec H Plus, in the two videos I go over the spec ands main features as well at the end if part 2 given you some of my thoughts on it. There are also some pics attached of the craft its self. Meet the second generation of Typhoon H - a hexacopter even more powerful than before. Creatives will benefit from a new one-inch sensor camera capable of 4K/60fps video and 20-megapixel stills. An all-new, larger, quieter six-rotor airframe provides stability in winds in excess of 30mph. Other drones force you to choose between image quality or flight stability, but the Typhoon H Plus gives you both. ST16 Ground Station with Android Device builtin. Iv just done a video on this but I wanted to share some of my thoughts about the DJI Smart Controller for the Mavic 2 Series. Having been rumoured since the release of the Mavic 2 this RC has always been one that has divided opinion and that stands true today more than ever. 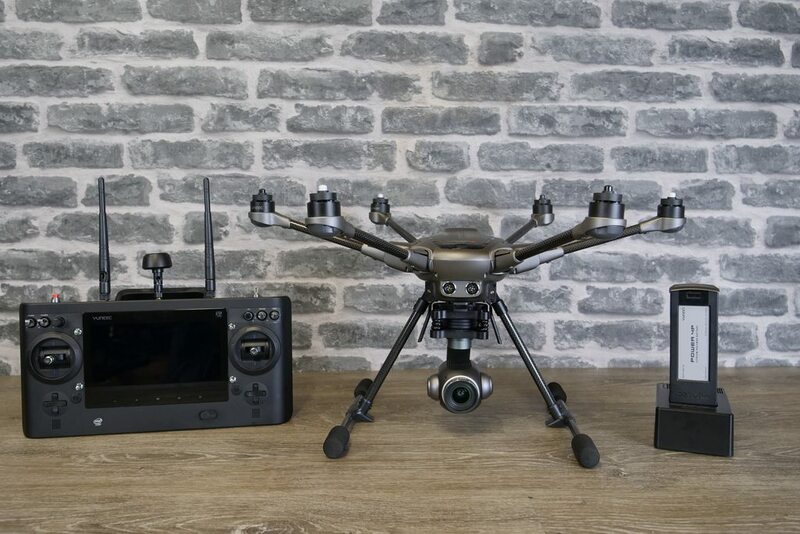 The Smart Controller is an all in one RC and built in Crystalsky 5.5” smart device similar to what we have seen with the ST16 from Yuneec and the new Herelink system from Proficnc. It takes what DJI did with the Plus remote on the Phantom 4 series and takes it to the next level, saying this is simply the Mavic RC and Crystalsky combined is not fully true and it’s more like a Crystalsky 2.0 with many overall improvements to the OS and device performance. The Screen is the same 1000 nits brightness we seen on Crystalsky but touch responsiveness is much improved I have been told, connectivity is plentiful with USB C for charging and firmware updates, HDMI output, USB A Output and a Micro SD Card slot. A note that shows how the internals have been beefed up is the fact is will now play back 4K footage from the SD card and output this via HDMI in 4K, the original CS was limited to 1080P. Buttons wise you have all the same ones from the original RC like Power,RTL,Pause, Shutter,Record and the 5D, on each corner there is the camera setting wheel and the gimbal control. In this video I am unboxing the Herelink Digital FPV and remote system for Pixhawk and Mavlink system from ProfiCNC and Hex Aero. You can pre order this now from https://www.3dxr.co.uk in the uk. In this video we are showing you how to connect the DJI Crystalsky to the Mavic 2 Series drone and how to make sure your on the correct versions and updates. Above are some affiliate links to the products seen in this video and some trusted vendors. If you have found the video useful you can support me or the channel by purchasing via these links, this puts no additional cost to you and it help us to keep making videos like this one. Above are some affiliate links to the products seen in this video and some trusted vendors. If you have found the video useful you can support me or the channel by purchasing via these links, this puts no additional cost to you and it help us to keep making videos like this one..
Freewell Gear have released a number of additional accessories for the Mavic 2 series from DJI. Along side there normal filters Freewell have released a long exposure pack for the Mavic 2 Pro, this pack contains 4 larger stop filters for those in very blight conditions as well as those who want to achieve blur in longer exposures with out blowing out the highlights. 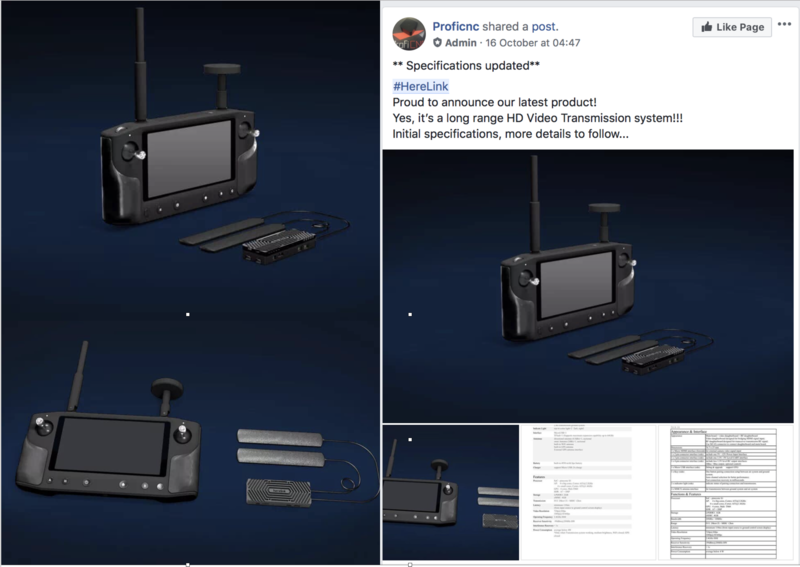 This week the guys over at ProfiCNC who make The Cube (Pixhawk 2.1) announced a new product called HereLink. An all new digital wireless transmissions system with built in remote controller. 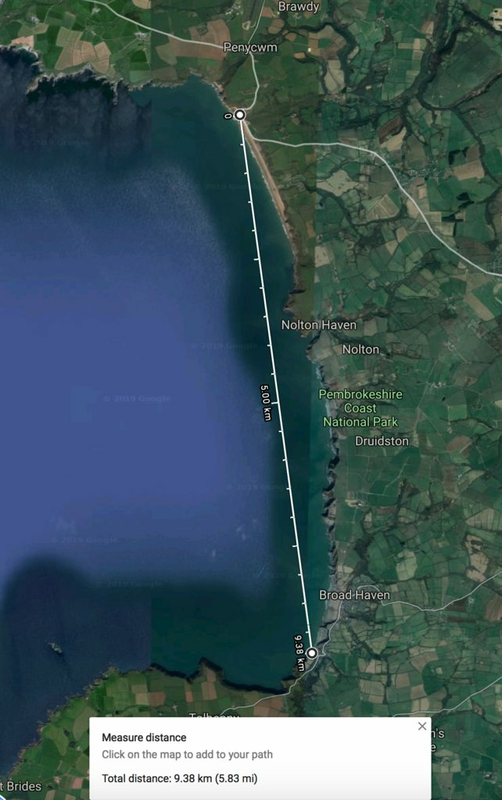 Consisting of a RC Ground station and Air System HereLink will allow users to get long range HD video and control link up to 20km in FCC. 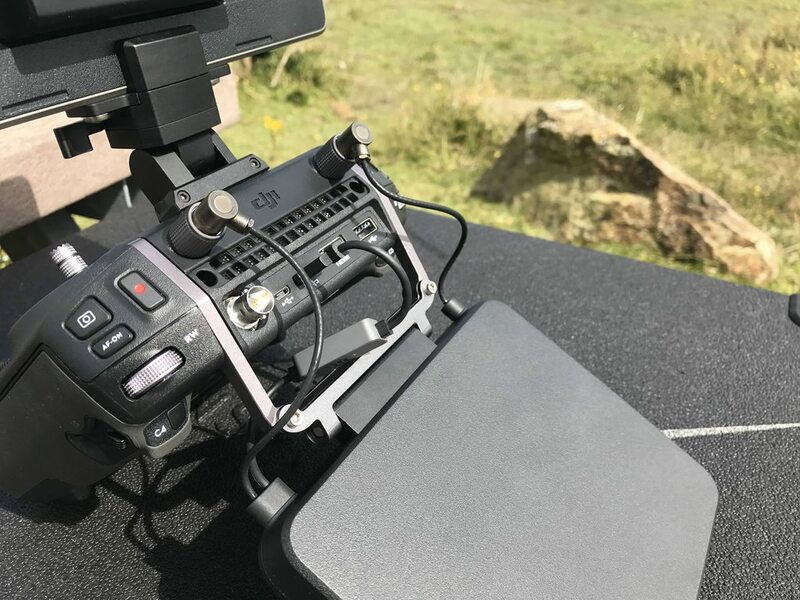 The Ground Station is a RC that is of similar design to the ST16 from Yuneec with a dedicated 5.5” 1080P Android based tablet built in, It will ship with a custom version of the Solex App to give Video, control and telemetry all in one unit. Being Android based it also means it should also be compatible with other app like Tower too. The Ground unit will have a number of programable buttons along side the two standard control sticks, two rocker switches, a wheel and six back lit buttons along the bottom. Tablet connectivity consists of Wifi, Bluetooth and GPS for position data and whole unit will be powered by a 4960mah rechargeable battery. 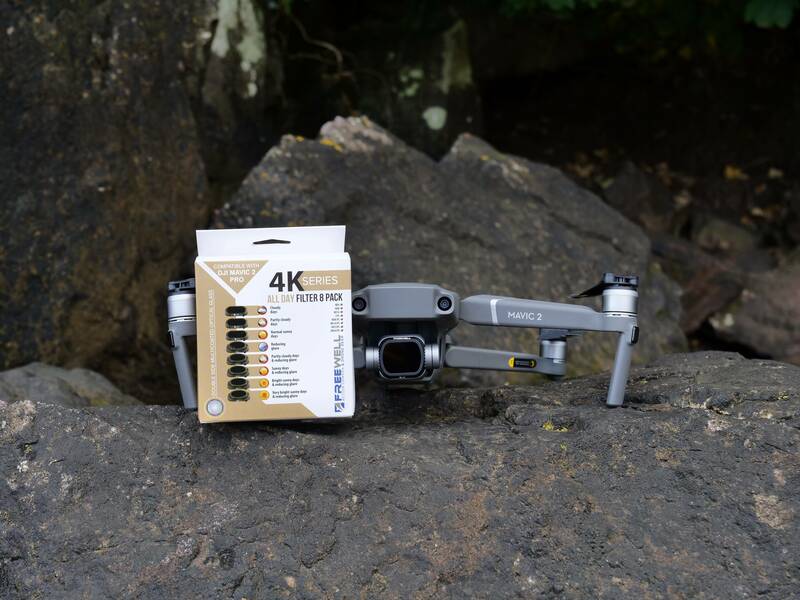 To coincide with the launch of the new Mavic 2 from DJI Freewell Gear have released their range of accessories and filters for this new model. 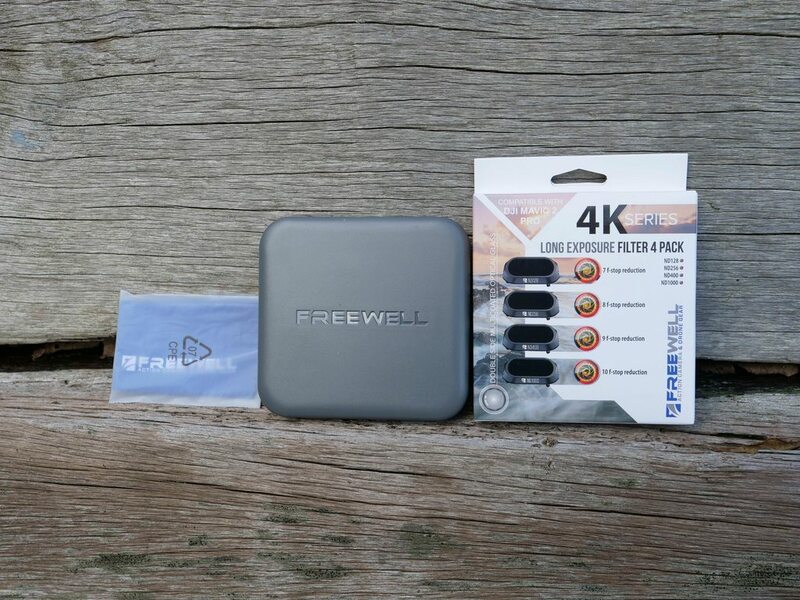 Freewell Gear make a range of accessories for drones that include ND filters, carry cases and device holders and they have kindly sent me their all day filter set for the Mavic 2 Pro to take a look at. 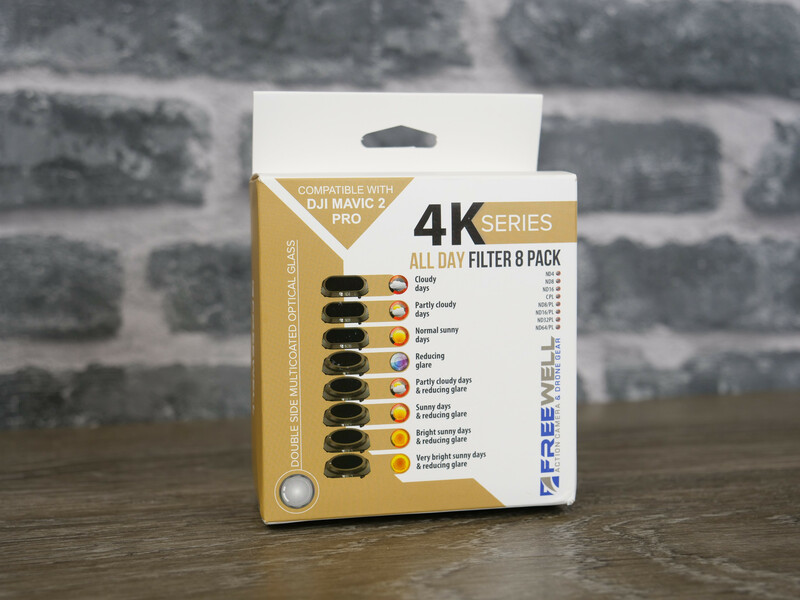 This new kit contains 8 filters specifically designed for the Mavic 2, Freewell state that these filters use razor sharp optical glass to ensure optimal image quality and that each filter uses 16 layer multicoated optical glass to ensure crystal clarity. Evolution3d DJI Mavic 2 Crystalsky Bracket. 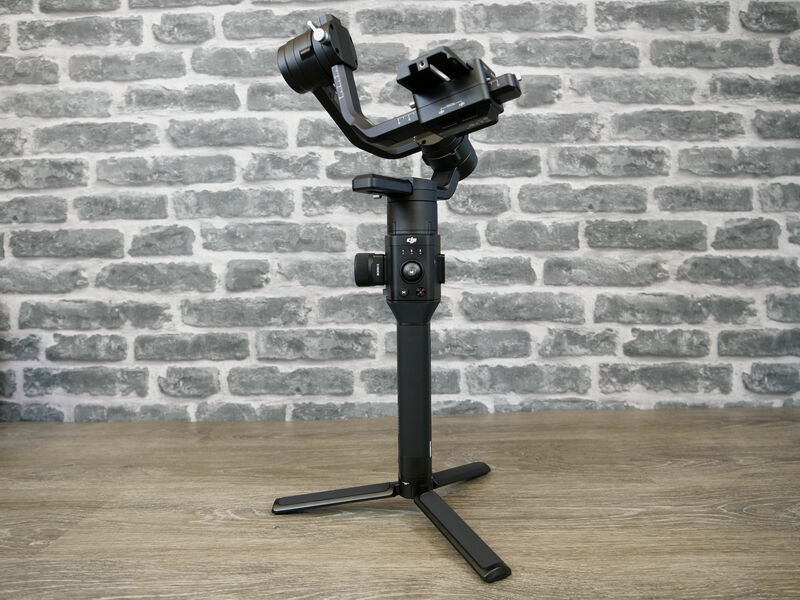 Last year the guys over at Evolution3d sent me over there DJI Crystalsky mount for the Mavic Pro and I have been using this exclusively since, its had a dramatic amount of use and has been my fist choice with both the Mavic Pro and Mavic Air. 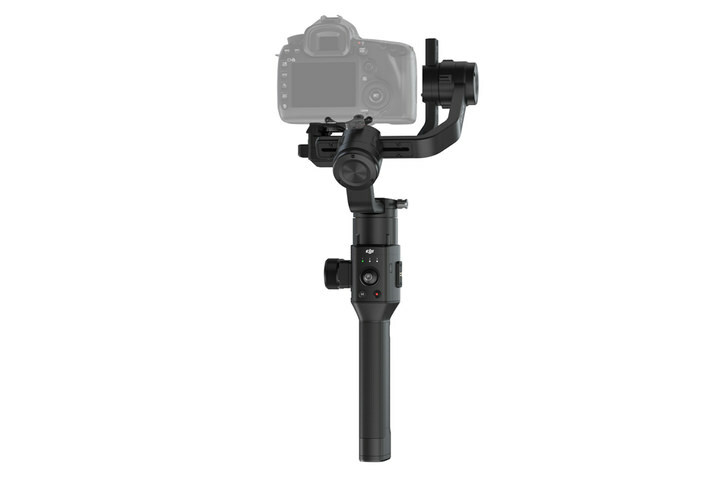 They have now released a new updated design for the Mavic 2 as well as some new adapters for the Crystalsky too. This week DJI finally released what we have all been talking about for some time, the long awaited update to the Mavic Pro, In this article I am going to talk about some of the specs but try to concentrate on some of the this I feel warrant highlighting on this new craft. In what is very reminiscent of the original Phantom 3 release DJI have made two models of the new Mavic 2, the Zoom and the Mavic 2 Pro. Both craft them shelves are identical and carry many of the same features just like the Phantom 3 Pro and Advance the differences are just the camera system fitted. 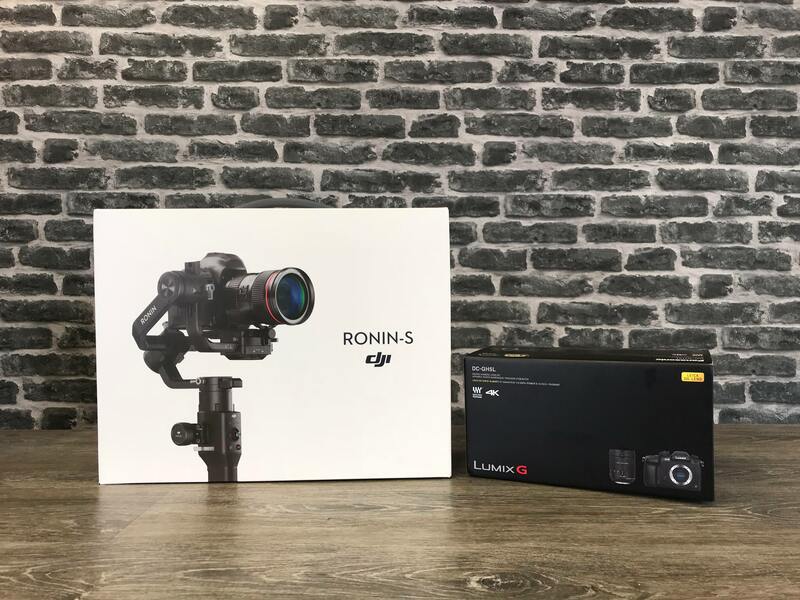 The Ronin S is a single handed DSLR and Mirrorless Camera gimbal that can support models up to 3.6kg and still provide stabilises footage while on the move, I purchased mine at the same time as the Panasonic GH5 and have been using this combination for over a month now. The Ronin S is fitted with very powerful motors, its been tested up to 3.6kg but many people have exceeded this with large cameras like a RED and still got solid stabilisation results. The Ronin S has Autotune that is able to tune its motor power so no matter if you have a Sony A6300 or and GH5 with Cage its always giving you great performance. On supported camera models you can control the shutter, start and stop recording and focus via the built-in buttons on the Ronin S Grip, it also means the Ronin S can automatically fire the shutter in intelligent modes like Motionlaps. Currently the GH5 offers the most compatibility, DJI are working on updating camera support all the time and there is a up to date list on the DJI site of officially supported models. I created this series of videos for my subscribers on youtube as I was regularly being asked questions around how the GPS works, what relationship the compass has and how these all work with the individual flight modes. Please not this is an affiliate link and if you would like to support me or the channel you can use it. 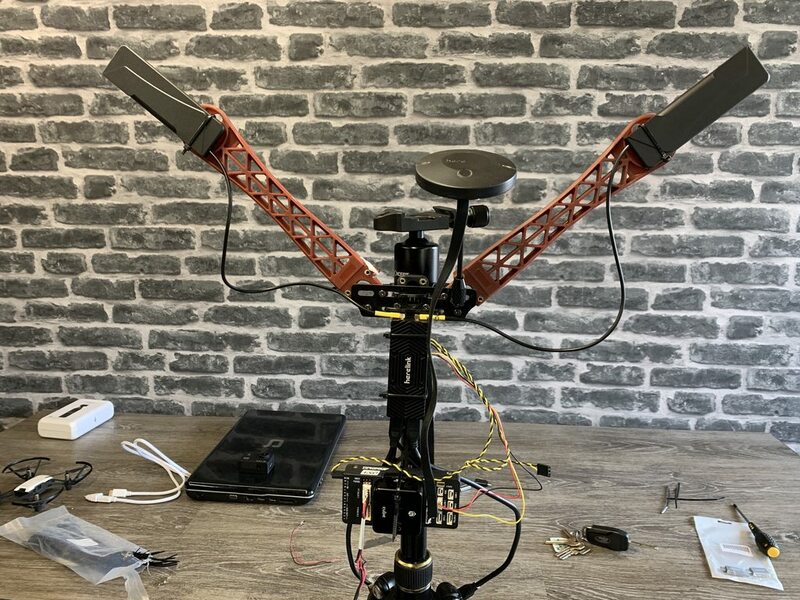 Since receiving the DJI Cendence I have seen the question time and time again asking is it worth using the DJI Patch antenna compared to the standard omnidirectional sticks and what benefit does the patch antenna give. Because of this I decided to do some tests to try and show the difference between them and see what was one was actually better to use as well as get some data on how directive the patch is as well. As you can see the patch is not just a simple passive antenna, while it has 2 RF connection it also is connected to the CAN port on the Cendence remote, because of this something to note is that the patch antenna also has firmware onboard and its important you update it when you update the remote, this is easily done by connecting the antenna to the remote before you update via DJI Go 4 or the Pilot App. The Ronin S Supports DSLR and Mirrorless Camera unto 3.6kg and according to DJI tests the Ronin-S can still capture stabilized footage with a 5D Mk IV + EF 85mm f/1.4L IS USM lens in handheld scenarios. Its stabilisation can be used up to 75kmh and It offers battery life of around 12 hours, this battery is also interchangeable too so you can have one charging while another is in use. Looking at the Standard Package DJI have included the Focus wheel and a number of cables and plates however the little control LCD screen that shown in some of the video reviews does not come as standard, the Ronin S does still fully support the App though and all its control and special features can be set via that. The Mavic Air Waterproof Carry Case From Freewell Gear. 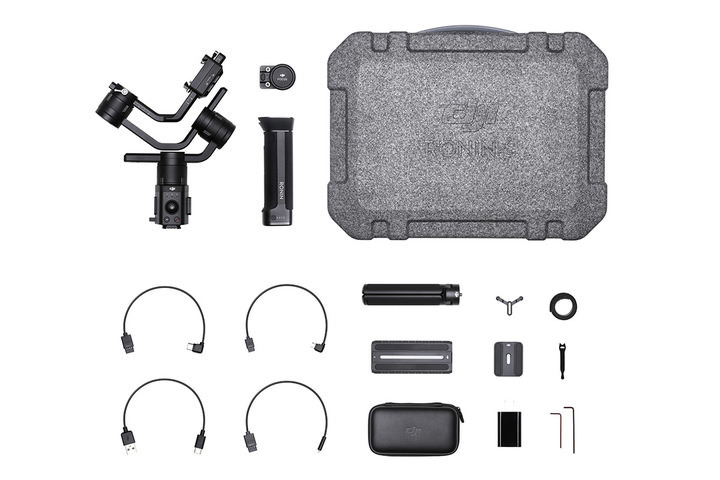 A few weeks ago Freewell sent me some accessories to take a look at and one of them was the Freewell Rugged Carry Case for the Mavic Air. 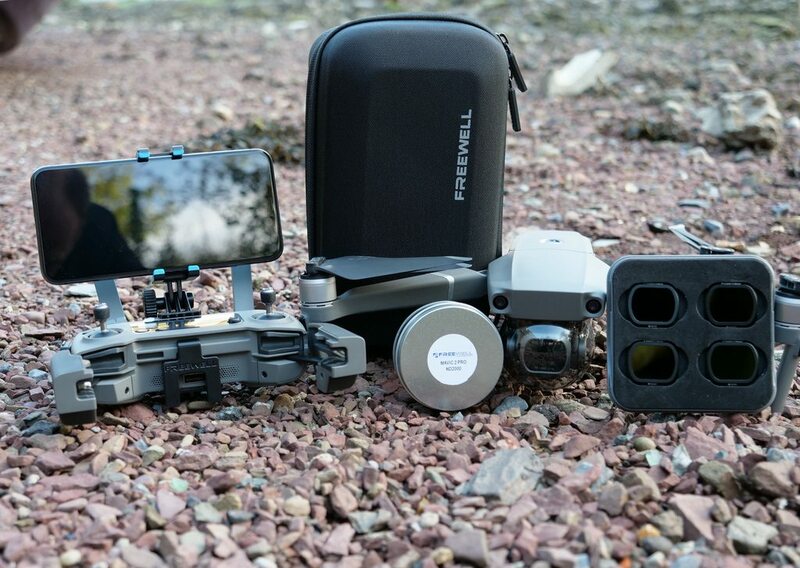 Along side this Freewell have also released a much more substantial case costing $99 for those looking for the ultimate protection for their DJI Mavic Aircraft. 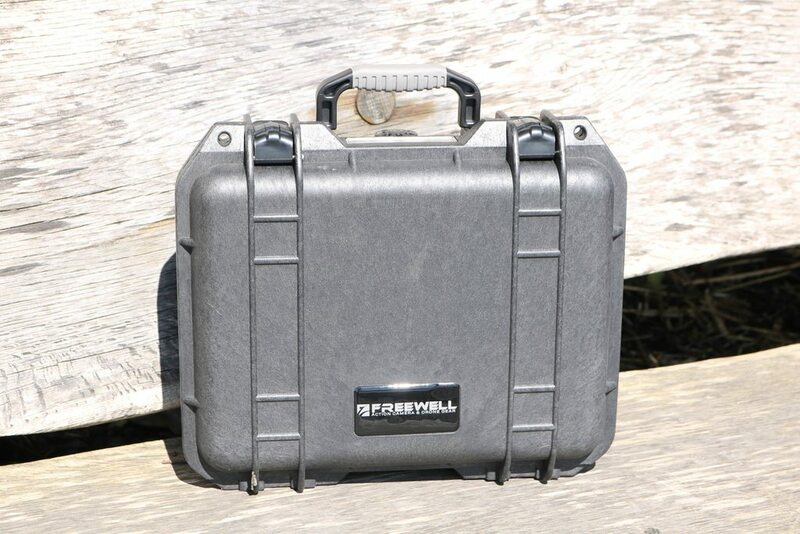 This new case from Freewell is extremely robust and is designed for those looking for total protection. Made from XEP material its a far more substantial case than the other rugged model and it offers a massive amount of protection for your Mavic Air. It is crush proof and high temperature resistant, protecting the craft from -40˚ C to 98˚ C.
One major selling point is this case is waterproof and being IP67 rated this also effectively means it's dust-proof too protecting your Mavic and accessories from damage from all angles. While offering tons of protection this case has been designed to be compact in size and shape. It measures only 330 mm x 285 mm x 145 mm and weights just shy of 2kg.